Do you have a child between the ages of 5-7 who is ready to begin? Click Here to watch our video and find out MORE about our beginning program that will set your child on a life long trajectory into musical success. Our advanced program is full, our current openings are for beginners age 5-7. "The Lower Studio" is equipped with three pianos, several kinds of rhythm instruments, a full glockenspiel, wooden resonator bars, a djembe drum, bongos, inspiring artwork and SoundTrue BOSE headphones for independent study at the keyboard. Ten windows surround the walls of the studio, bringing natural light into the learning environment. 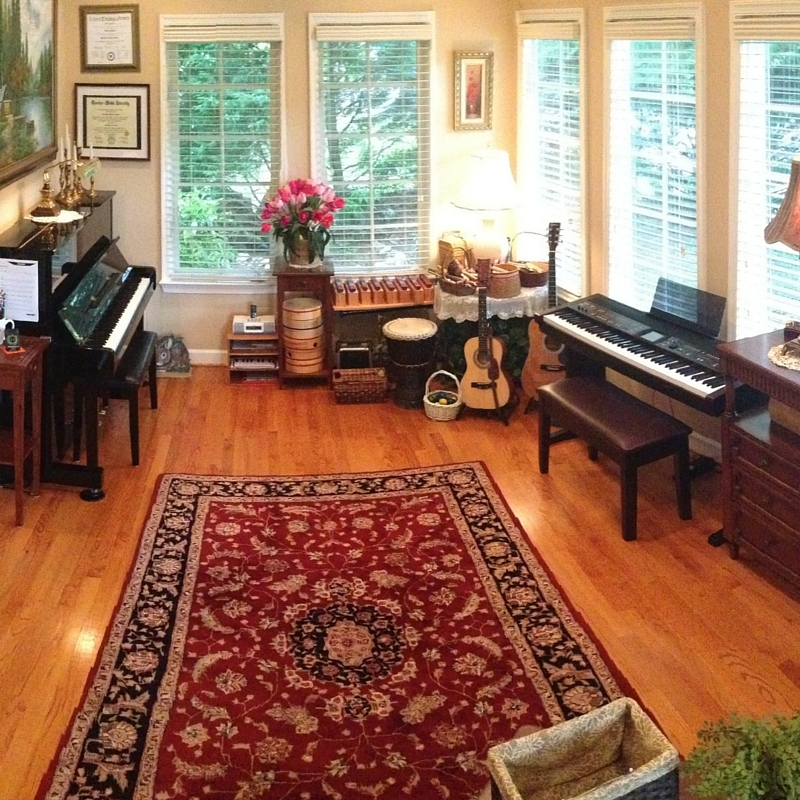 "The Upper Studio" is anoter studio space for teaching and learning equipped with two pianos, natural light, scenic artwork and SoundTrue BOSE headphones for independent study. .
Instructors in Kathryn Brunner’s Studio are highly trained musicians actively using their skills at home, in the church, in scholastic settings, in the theater, and in the community. Each instructor not only has a vibrant passion for music, but also has a joyful desire to invest in children of all ages by carefully tailoring lessons to each student’s level and learning style in the studio's faith based environment. Instructors prioritize the formation of the heart and mind by inspiring students to set purposeful goals and strive to reach new musical heights. Teaching Musikgarten's internationally renowned curriculum, licensed and certified Musikgarten instructor Kathryn Brunner brings Musikgarten classes to you in your home on your schedule with easy to follow instruction for you and your child at www.mymusikathome.com. Musik at Home is an online music studio for babies, toddlers, preschoolers and pre-K. 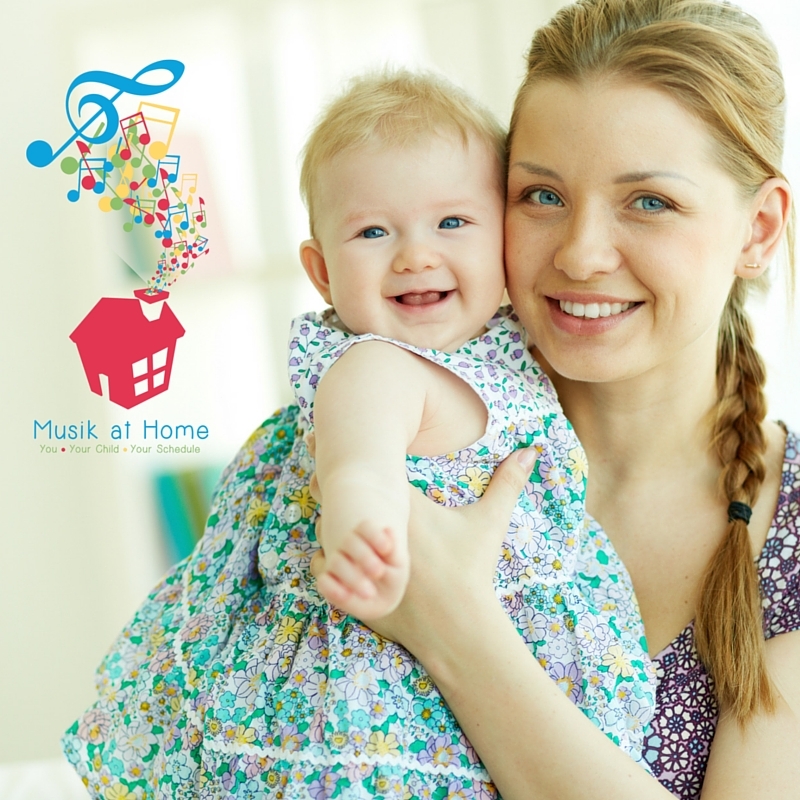 If you're a busy parent who wants more music in your child's life, Musik at Home is here for you! Classes are designed to foster intimacy between you and your child while developing your child's music aptitude through joyful musical play. 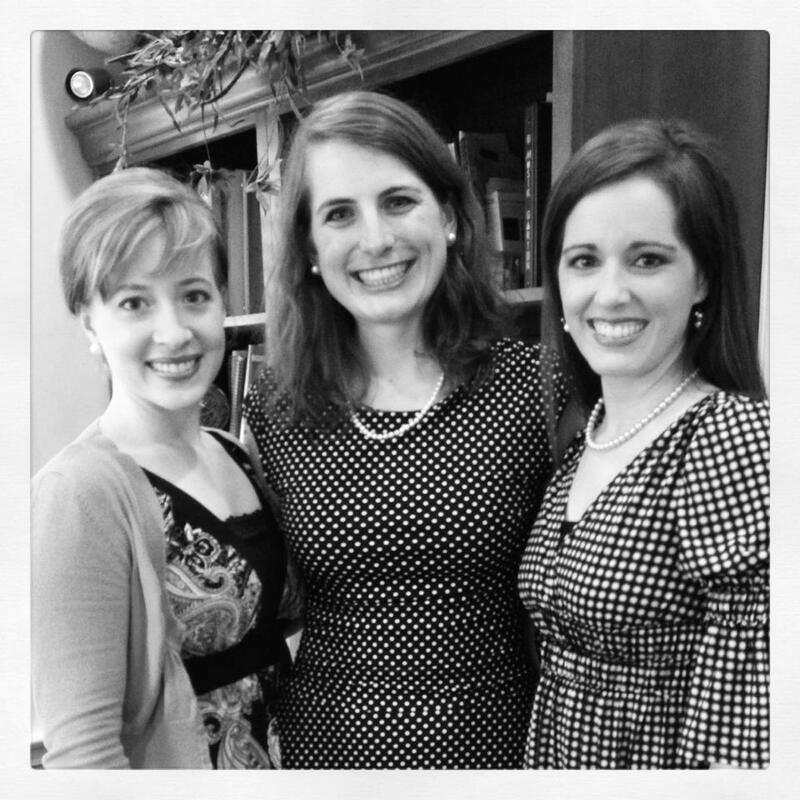 We have been thrilled with Kathryn Brunner’s exceptional teaching for these 11 years. Her expertise in early childhood music education is a joy to me as a homeschooling mom. Her passion for her work comes across in her love for meeting the developmental needs of every child who enters her studio. Kathryn has been my son’s music teacher since he was 3 years old starting in 2005. My son is now 14 years old and continues to study piano at Kathryn Brunner’s Piano Studio with one of Kathryn’s associate teachers, making great strides in his musicianship. After the Cycle of Seasons Preschool program, Kathryn took him through Musikgarten’s Music Makers at Home (2006-2007) and Music Maker’s at the Keyboard Curriculum (2007-2010) all in a class setting with other students. Her teaching has been outstanding. She provided my son a solid foundation during the formative years of his musical growth. Kathryn also taught my second, third and fourth children in Family Music for Toddlers from 2006-2011. My second and third children went through her Music Makers Around the World at the Keyboard program from 2010-2011. My second child completed the three year Music Makers at the Keyboard program in 2014, and my third child completed the MMK program in 2015 both with Kathryn and her associate teachers. My fourth child is currently in his first year of Music Makers at the Keyboard as Kathryn’s student. I love seeing my children thrive in music. Kathryn’s studio has provided the foundation for their musical development.